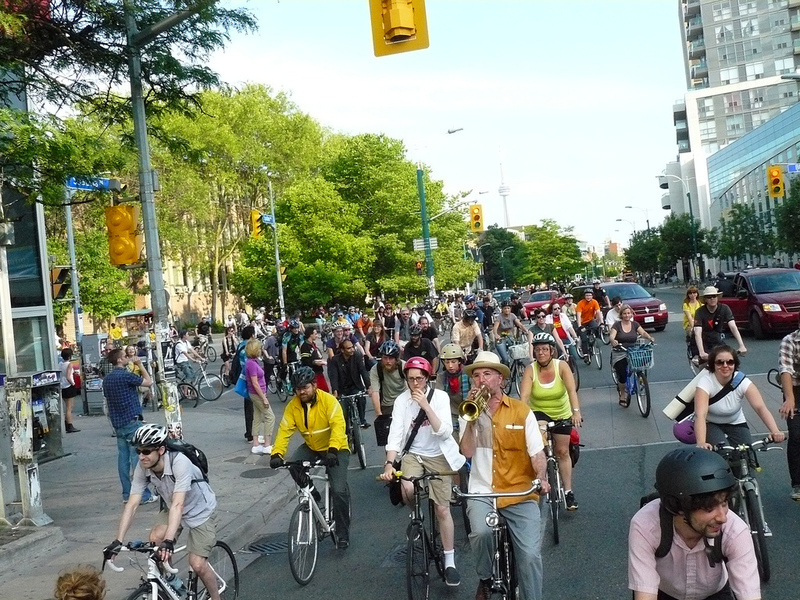 Critical Mass Ride for Transport Justice! Friday July 10 at 6 p.m. The parkette at Bloor and Spadina. Ride with us to the car-free-people's-picnic-block-party at the People’s Social Forum for music, food, community and politics. We'll be taking a stand for transport justice and talking about people-friendly streets, car-free streets, bike lanes, bike parking, wider sidewalks, stricter enforcement and penalties for dangerous drivers and idlers, lower speed limits, and much much more! Join us for the pedal powered revolution! Bring on climate justice and sustainable cities! If you can't make it to the Critical Mass Ride for Transport Justice, don't worry! There will be a Block Party with music and free workshops, followed by the Peoples Social Forum (register now!) on July 11.